The B2B marketing space is getting a bit crowded, don’t you think? And with the growing number of marketers drowning in email campaigns, marketing channels and the next big thing, it can be hard to know where to turn. However, there are a few marketing bloggers who stand out with great content from videos and infographics to relevant industry news and expert insights. Check out the top 10 best B2B marketing blogs – in no particular order – and let us know if you think there are any we missed! WHY WE LIKE IT: Michael is the author of B2B Marketing Insider, a contributor to Forbes and a frequent speaker at industry events on marketing strategy, social business, content marketing, digital marketing, social media and personal branding. He’s also posted several top BtoB lists including 20 B2B Marketing Blogs You Needs to Read and Top 50 B2B Marketing Influencers On Twitter. WHY WE LIKE IT: Whether it’s a top tips blog or infographic, almost every BtoB marketer has read or referenced a HubSpot piece. Covering everything regarding inbound marketing, HubSpot’s content is easy to digest, conversational in tone and visually playful. Who wouldn’t want to share a HubSpot piece? WHY WE LIKE IT: This blog shines with its use of videos – not to mention the quick social sharing links, visuals, interesting case studies and great content through short posts. MarketingSherpa never fails to provide BtoB (and consumer marketing) professionals with practical case studies, research and training on email, demand gen, search, social and more. WHY WE LIKE IT: A go-to source for modern marketers, this blog is a great resource covering the latest trends and thought leadership. It has a variety of content on almost every marketing topic imaginable and its very own MarketingProfsUniversity, as well as a calendar of upcoming industry events – from seminars to conferences. WHY WE LIKE IT: With more than 20 years’ experience in generating demand and creating awareness, Paul is recognized as an award-winning BtoB marketing expert. He has spoken at a number of industry marketing events and has appeared on Fox News, while his articles have been featured in BusinessWeek, The New York Times, BtoB Magazine, MarketingProfs and MarketingSherpa. Today, it’s no secret that we’re living in a buyer’s market. Therefore, it’s officially time to redirect as we stop simply selling, but instead listen to what the buyer wants. 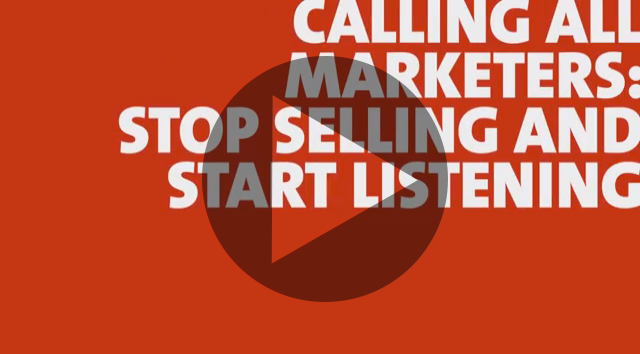 In this video, Arketi principal, Mike Neumeier, tells you how to stop selling and start listening. A well-engineered and well-implemented automation platform has proven value. Thousands of companies of varying sizes and sales models have tested this and savvy marketers have come to rely on marketing automation technology as part of their technology armory. To learn more, check out Arketi Insights. WHY WE LIKE IT: Not to toot our own horn, but we think that our team has some pretty valuable BtoB marketing advice to offer. Messaging, branding, design, research, image creation, reputation management, media coverage…you name it, we’ve done it! WHY WE LIKE IT: As head of B2B Marketing Thought Leadership for Salesforce.com, Matthew has worked on some of the most forward-thinking direct mail campaigns and changed the way the world’s largest brands use email. An avid industry speaker, he also recently wrote Marketing Automation for Dummies. WHY WE LIKE IT: In his blog, Andrew incorporates a number of interactive sources (including videos and infographics) where he touches on BtoB marketing, social media and high tech. WHY WE LIKE IT: As the chief marketing officer of SAP, Jonathan strives to drive improved business results, uncover new business opportunities and guide strategic decisions that help SAP run better. Beyond his day job, he’s very active in social media, a frequent speaker at industry events and a published author. WHY WE LIKE IT: When Kyle says he’s obsessed with the idea that technology can transform the way brands interact with consumers, we can’t help but agree. In addition to authoring three books, Kyle is senior manager of Content Marketing and Research for marketing automation provider ExactTarget where his team produces marketing content. Thanks for reading this issue of Core. Please send your comments, compliments or criticisms to core@arketi.com, and if you liked Top 10 BtoB Marketing Blogs to Follow, please share it! And of course, if you have questions, or need help with any marketing needs, call us at 404.929.0091 x202. There are now more mobile phone subscribers than landlines. So it’s no surprise that mobile marketing is fast becoming mainstream in the B2C world. Which leaves many a B2B marketer wondering how to tap this ultra-intimate channel to reach customers and prospects – without being intrusive or annoying.